Traditionally, cyber-physical systems designed for home and building automation, energy management, surveillance, e-Health, and electric-vehicle charging have been self-contained and unable to interacted with other systems. 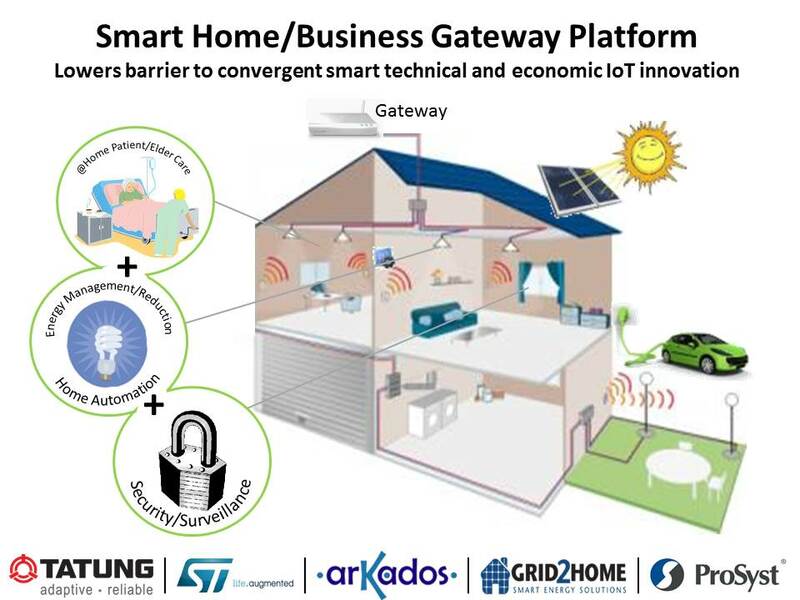 The Smart-Home Platform we are showcasing has been heavily focused on integrating these domain-specific cyber-physical systems into one platform that is capable of interacting with multiple application-specific cloud services. The platform also leverages the latest in user interface technology to offer a unified multi-screen (smart phone, tablet, TV, computer) user experience which also includes cloud service and analytics providers, home automation and energy-management sensor manufacturers, medical-device manufacturers, industrial-equipment manufacturers, and automakers. Building new revenue streams and new jobs.